Toimeksianto on päättynyt. Täältä löydät avoimet toimeksiantomme. 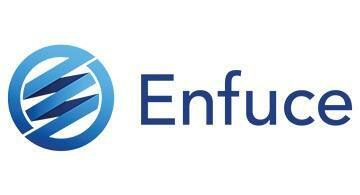 Enfuce Financial Services is a forerunner in cloud-based financial services. They provide cloud-based payment platforms as-a-Service, that gives customers the chance to reach the market fast and with minimum upfront investments. This is why Enfuce considers themselves enablers and forerunners in the ever changing world of financial services. Enfuce Financial Services´ single greatest asset is the fantastic, driven, intelligent and resilient workforce that every day strives for the best of results in everything they do. Their whole organisation works very hard to enable that go-get mentality that is needed to be, and stay, in the forefront of financial technology. We are looking for new Chief Financial Officer to Enfuce Financial Services! Energetic CFO to lead, direct and manage the financial work in the company. New CFO will be part of formulating Enfuce’s future direction. You will be part of the management team. This is a great opportunity to be part of the success story of the growth company in digital financial services. Please contact Janne Huusela, Senior Consultant (phone: +358 40 823 7658) or Minna Tuusa, Research Consultant (phone: +358 40 188 2244). All contacts will be handled with strict confidentiality. Application is closed now, thank you for your applications!